This month’s Volunteer Spotlight is twin sisters, Kim Smith and Denise Korinek, who give us BOLD HOPE and tasty chili! 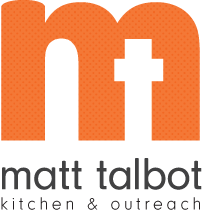 For seven years they’ve been hosting the Lot 10 Husker Tailgate Chili Kickoff and for the past two years they have chosen to collect donations for Matt Talbot at the event. This year’s celebrity judges included our own Jessica Roit tasting 11 chili entries. The sisters raised $470 to help those in need! Thanks, Kim and Denise, and Go Big Red!